St Valentine is a mystery man. 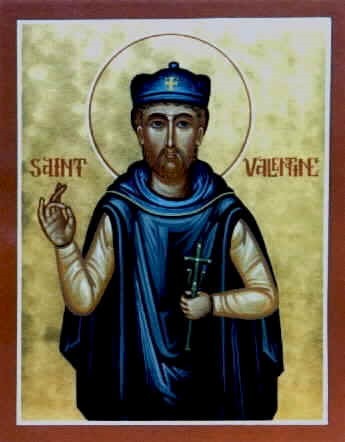 No one knows quite who he was, indeed there are quite a few around that claim to be St Valentine. There are some boring ones but I love the one , a priest in the days of Claudius 11 who married couples secretly and quickly so the man could avoid being drafted into Claudius’ army. As you could imagine, Claudius didn’t take to kindly to this subversive attack on his already depleted armed forces and had him beheaded or stoned to death or brutally killed in some fashion. It seems St Valentine’s Day became very popular in the late nineteenth century. Was this when Romance was born? Mills and Boon first published in 1908, and guess what their first book was? It was a romance. But it wasn’t until the nineteen thirties that they decided to specialise in romance as a genre. And so we drift to the education of women. When were women taught to read? It seems to be only after 1790 that girls were encouraged to go to school. The Governesses Benevolent Institution was started in 1843, for the temporary care of governesses in distress and caring for the old retirees. Then there was a burst of colleges and schools opened, devoting themselves to women’s education. The Queens College opened its doors in 1848. But it wasn’t until 1865 and 1866 that Cambridge and Durham universities allowed women to sit for entrance exams and Oxford didn’t do it until four years later. Our first woman doctor was Sophia Jex Blake. But I digress. I am trying to pull St Valentines Day and reading of Romance together. The Romance novel was big in the late 1800’s, I’m guessing because there were more women reading. At the same time St Valentines Day was going from strength to strength. The first cards were written in the fifteenth century, and by the seventeenth century the exchange of letters and cards was going strong but it wasn’t until the nineteenth century that it exploded. I think it was related to women’s education, they were reading, taking advantage of opportunities and realising that if there was something out there they wanted they simply had to make it happen. Have a lovely St Valentines Day. Momentum are putting up a special promotion for St Valentines Day and ‘A Dream of Something More’, where Robbie, while deciding that if she wants her world to change, she has to make it happen, falls in love and everything is turned upside down. ‘A Dream of Something More’ is being given away. For free. Enjoy. This entry was posted in Uncategorized and tagged romance genre, St Valentine. Bookmark the permalink.